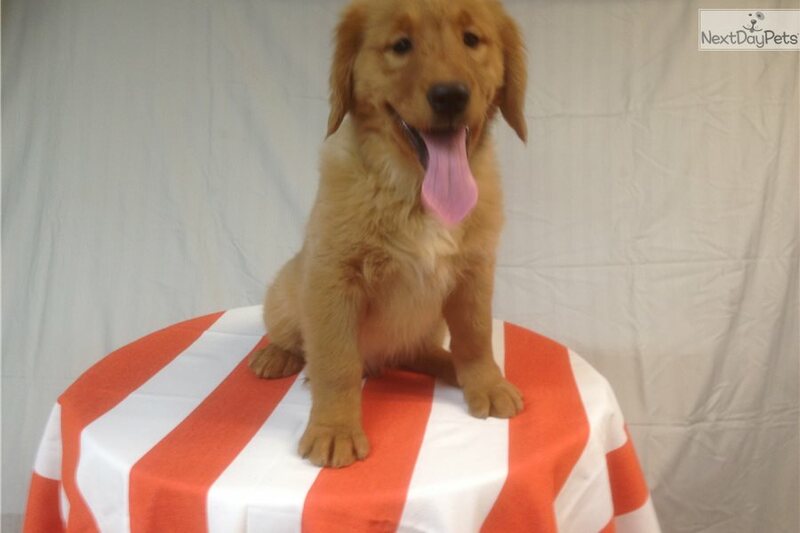 This Golden Retriever nicknamed Dakota sold and went to a new family. This well socialized little bundle loves to play! He comes with his first shots, will be vet checked,and goes to his new home with a 30 day health guarantee!